Journey through the four seasons with Harry! 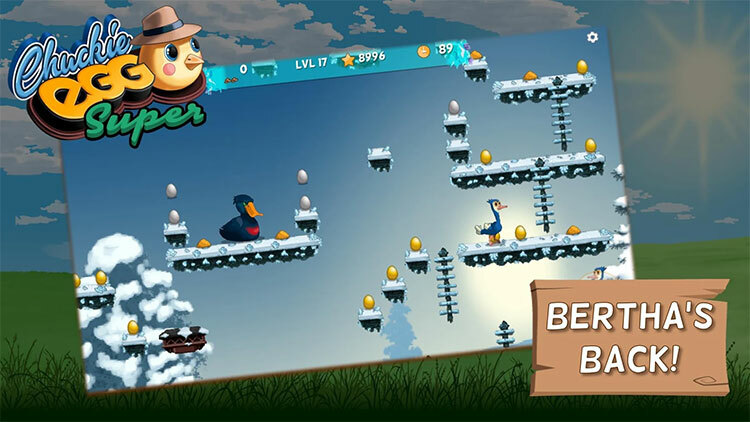 Collect gold and silver eggs spread across 36 levels - Winter, Summer, Spring and Autumn. Play in any order you like, some levels are easy, while others are tricky and will require practice. Complete each season to unlock the elements and when you've collected all four, try out for the Master levels and earn yourself an achievement you can be proud of! Avoid the naughty Ostriches, who will try and block the way. And watch out for Bertha – Harry’s arch nemesis. 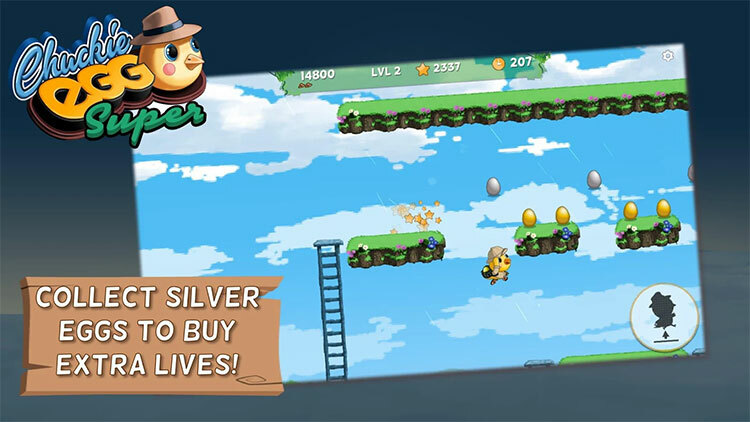 Use you stash of silver eggs buy extra lives when you need them, or even auto complete levels that you’re stuck on! So, whether you’re a platform gaming veteran, or just want a casual gaming experience, this is the game for you. 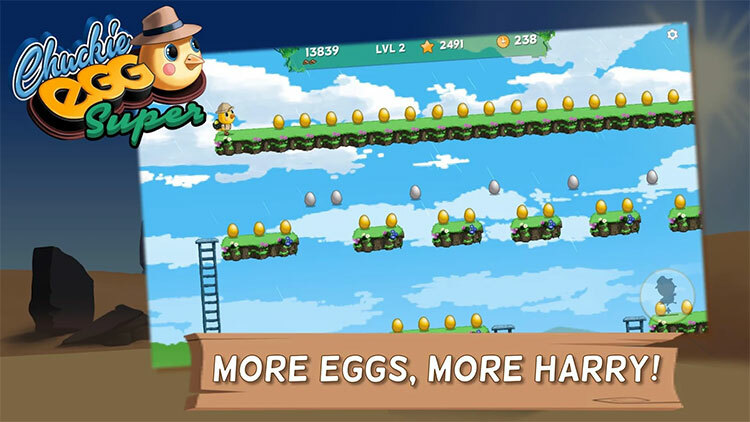 Super Chuckie Egg is a retro-modern casual platformer with vibrant cartoon art, and with varied levels each with their own difficulty level. Your progress is saved along with your egg stash. Only have a few minutes free? No problem! Use the Quickplay button to dive straight into a level. Then come back whenever you have time and try out another. Join Harry on this brand-new adventure. 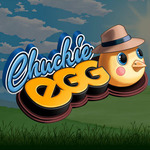 Ultimately though you’ll jump back in every time because Super Chuckie Egg is such a pleasant, charming, easygoing experience from beginning to end. From the richly detailed visuals and animations to the deceptively deep platforming gameplay, this is a great example of how to modernize a distinguished franchise. 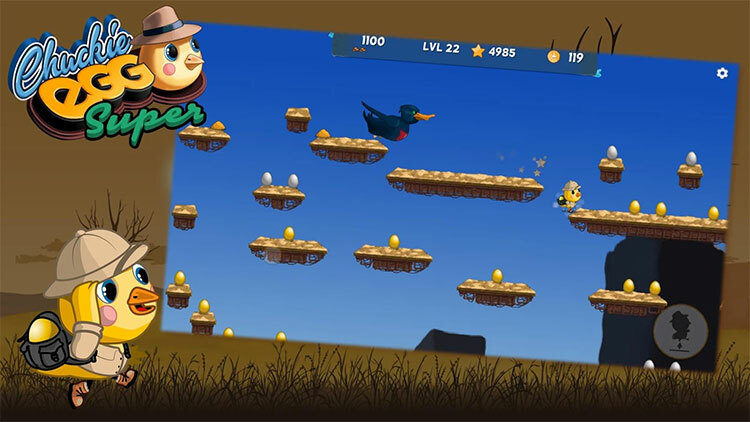 Super Chuckie Egg is a major leap forward for the venerable franchise, taking a character from the prehistoric age of videogames and giving it a chance to shine in a polished, playable, fun platformer.We’re only hoping that Downsideup Games can pull out even more stops for the next Chuckie Egg spin-off. 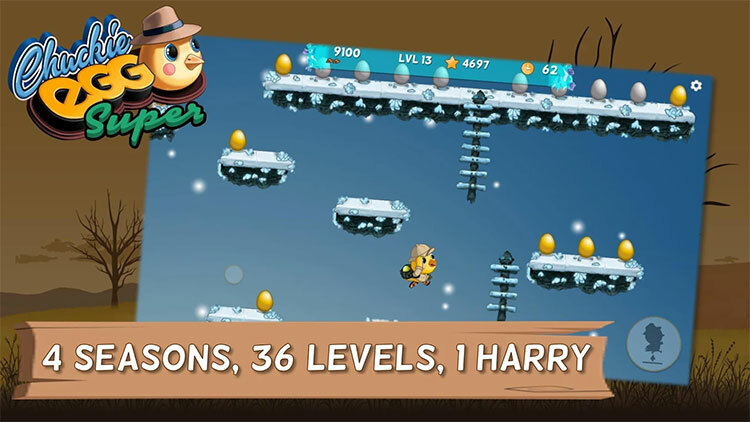 With a few more modes and a little bit more ambition, little Harry might even find himself in the Premier League of platformers again. This is a platformer that offers more than it might first appear, and once you start playing, it’s likely you’ll get sucked in for more levels than you originally planned.